What do you do after finishing a special tour which you have been writing for 1 and a half years spanning 30+ shows? You write a new one! Catch the unstoppable Aakash Mehta as he traces more witty stories guaranteed to leave you in hysterics. Come, Chill with Mr. Mehta this Sunday! 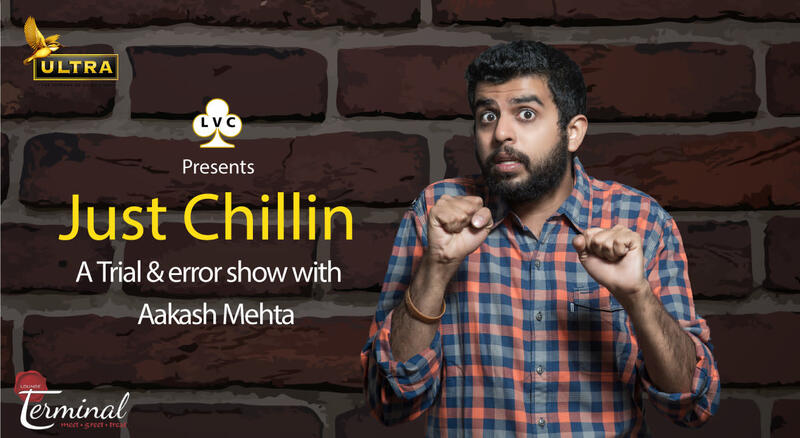 Aakash Mehta is a Comedian, Musician, Writer, Audio Engineer and Law Graduate from Mumbai. With 1000+ shows, 10+ videos, 3 and half tours and collectively over 14.5 Million views on his videos and over 1.5 Lakh subscribers on YouTube, he has left people hankering for more of his content and laughter each time he does a show!